A coal train leading away from the Gibson Station power plant in Owensville, Ind. Photo credit: Luke Sharrett/Bloomberg. Proponents were encouraged to vilify opponents because public (rightly) thought electricity prices would go up. In pushing for EPA’s carbon regulations, proponents were encouraged to vilify opponents, because the public (rightly) thought that electricity prices would go up, newly-revealed documents show. The Democratic polling firm Hart Research Associates conducted research on voter attitudes about the regulation, which has faced intense criticism since the EPA unveiled its proposed rule last year. Hart found that voters generally shared the concerns of Republican critics of the regulation. “Research indicates that many voters’ default belief is that electricity bills will go up” as a result of the regulation, according to a Hart talking points memo circulated by an employee of Advocacy Advisors, a political consulting firm that, emails indicate, worked closely with the Climate Action Campaign, an initiative pushing EPA regulations. “Denying [electricity] rate increases strains credulity with many audiences,” according to the memo. The final version of the Clean Power Plan, released in August, calls for a 32% cut in carbon emissions from power plants by 2030. The public knows a bad deal when it sees one. 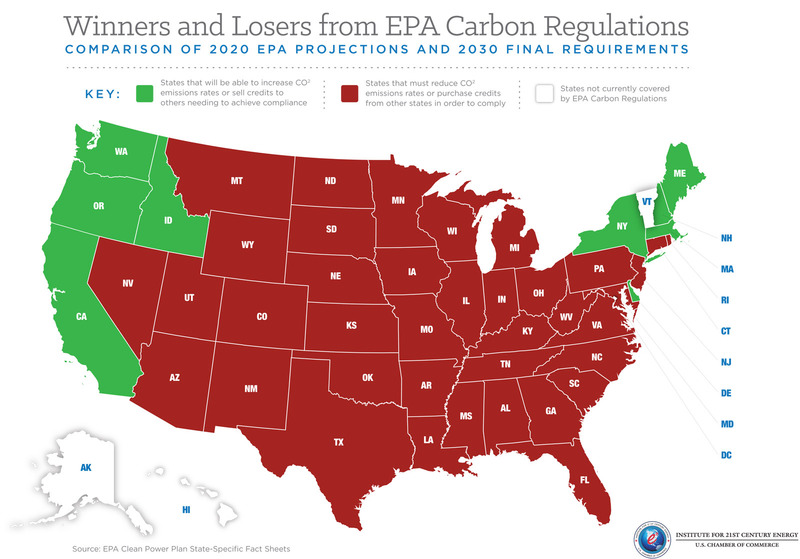 "[T]he EPA has picked winners and losers by imposing a system that will drive up prices in low-cost electricity states and redistribute the revenues associated with those higher prices to select West Coast and Northeast states," writes, Heath Knakmuhs of the Institute for 21st Century Energy. Many also remember then-Senator Obama declaring that electricity prices would “skyrocket” if he were elected. The memo suggested blaming rate hikes on power companies themselves despite acknowledging the widespread view that EPA regulations would raise electricity rates. “Big power companies are using pollution limits as an excuse to raise rates—and we shouldn’t let them get away with it,” suggested one talking point. Another talking points memo circulated a few days earlier expanded on Hart’s approach to undermining opposition to the EPA rule. “Big Polluters Put Profits Over People,” was one talking point suggestion. “Big Polluters Are Bad Corporate Citizens and Pollute Communities,” read another. When you can’t argue on facts, you resort to vilification. When it comes to a forced reconfiguration of our power grid that will have a dramatic effect on businesses, consumers, and the economy, the public deserves a more honest debate.